The giftwrap market has dramatically changed over the past few years due to a shift in both the economy as well as attitudes about unnecessary waste. Yet at the same time, sites like Pinterest and Instagram inspire people by sharing an unlimited variety of easy ways to make the everyday more stylish, including wrapped gifts. In an industry where we consistently create custom one of a kind gifts for our customers, adding a gift wrapping service may make a lot of sense for your business. In fact, if you create a lot of custom gifts, you may even want to dedicate a very small portion of your business space to selling wrapping papers and accessories. 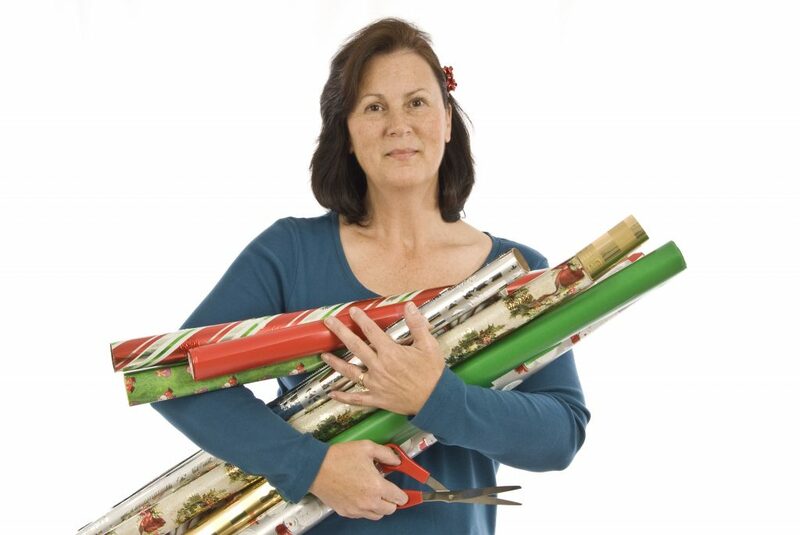 Offer a free wrapping service when customers buy the papers and accessories from you. Adding this service is another way to set you apart from the other businesses in town. If you include a custom printed care label on the gift, the recipient could also become a customer. Add a fun prop to personalized stuffed plush products, such as a lollipop tied into the bow, if the recipient is old enough. Add a paper or silk flower on a wedding present. These inexpensive and unexpected touches make a big difference. Offer variety in the accessories. Along with always having white tissue and a roll of wide satin ribbon on hand, keep a ball or two of colorful yarn and a ball of baker's twine. All of these can be used to create stylish yet simple looks. Use giftwrap to do more than wrap gifts! Use it as the background for a bulletin board, add pops of color to a window display, or hang it on the wall behind a display of caps or bags to attract the eye of your customers. Check out social media sites such as Pinterest and Instagram for DIY ideas that you can use to develop a "signature" look for your wrapped gifts, along the lines of Tiffany's iconic blue packages! Even a roll of brown craft paper can be turned into something dramatic with just a simple plaid ribbon and bow. Have easy wrapping options on hand as well, such as a few gift bags in basic solid colors to fit a t-shirt or cap, and a few bigger bags to fit a sweatshirt or blanket for the person that needs a fast, simple solution. Post a sign that lets customers know that you offer giftwrap and also display a few sizes of wrapped gifts. While giftwrap is probably not high up on your radar as an embroidery business owner, you DO create a lot of custom gifts! 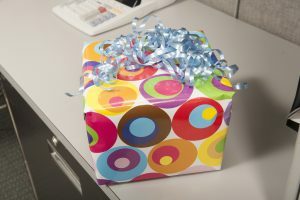 Check with customers as they order and pick up gifts and see how they respond if you offered a custom wrapping service. You may find that many of them would appreciate being able to walk out with something that is ready to gift. It could become a great little upsell opportunity for you! "Thanks so much for the great ideas! You just gave me well more than $200 of information, just in this conversation! And I LOVE the fact you picked up the phone - not voicemail." "Even if I only call ONCE a year, this membership is worth it! You ALWAYS help me take care of it, whatever IT is, and I so appreciate that! And of course, I call more than once a year." "Thanks so much for all you do to help us small embroidery businesses hang in there and at times thrive along with the big guys." "I am so glad to be a member! The conference last month was fantastic, and the support appreciated! I love all the information provided since I am just starting out. Thank you." Place an Ad on our Site! © 2019 National Network of Embroidery Professionals.